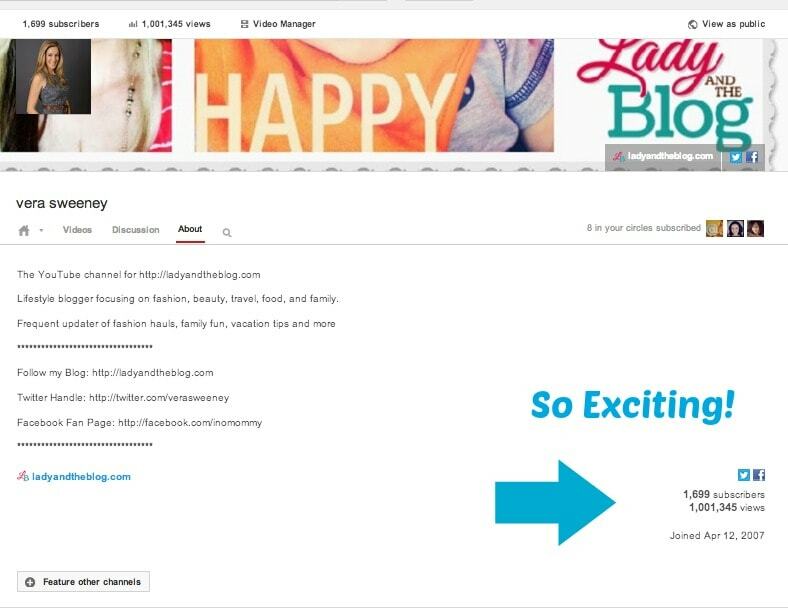 Lady and the Blog → Personal Blog → Lady And The Blog Hits 1 Million Views On YouTube: THANK YOU! THANK YOU! THANK YOU! Lady And The Blog Hits 1 Million Views On YouTube: THANK YOU! THANK YOU! THANK YOU! This is SO very exciting! I know it says I joined in 2007 but I didn’t really become active until 2010 or so. I’ve been quietly keeping an eye on my view number for the last week. I’ve been SO CLOSE for the entire month of August – BUT NO CIGAR. This morning I woke up to that special treat! I can’t believe it!! Anyway – I wanted to thank you for spending a few moments of your day with me. I know there are a billion other places you could be and I absolutely appreciate that you check in with my family every now and then.